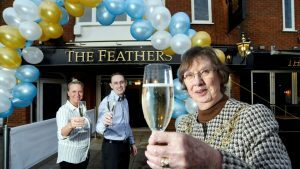 The people of Redhill love the Feathers pub quiz as its hosted by a professional presenter who loves to test your knowledge to the max. The staff are lovely and the pub quiz has a great atmosphere and of course everyone is welcome. There is prizes to be won so grab your friends and join the fun!